Unlike many other television show’s theme music, the lyrics to I Love Lucy were not sung at the beginning of the show. 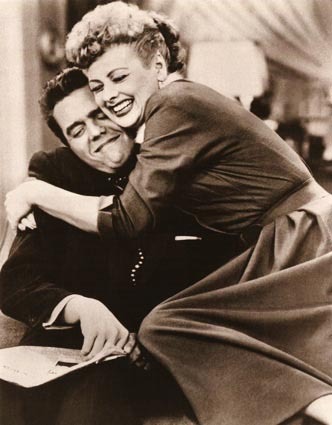 In fact, it was only sung once during the entire television series, in the episode Lucy’s Last Birthday by Ricky Ricardo/Desi Arnaz to Lucy McGillicuddy Ricardo/Lucille Ball. There’s a certain couple that I know. He’s a guy who wants the world to know.